When a package falls outside the maximum dimensions / weight, the chance of a surcharge is high. Surcharges are always calculated by the carrier afterwards. If a package is too large or too heavy, it can no longer be processed automatically over the belt. This means that an employee must process the shipment manually. Also, an unclear label, wrong packaging of your shipment or selecting a wrong shipping method may be a reason for a surcharge. Europallet exchange service and Pallet outside maximum dimensions. 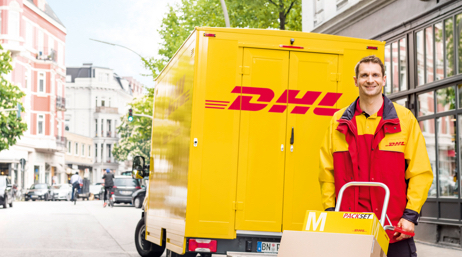 DHL Parcel also delivers your shipments in remote and difficult to reach areas within Europe (including islands and ski areas). In that case, the transit time may be slightly longer. Do you want to know if the destination of your shipment is in a remote area? View this via the online remote area tool or download this pdf with the remote areas of DHL. These surcharges may vary based on the area where you send them. € 0.45 per KG, with a minimum of € 20.00 per shipment. € 0.25 per KG, with a minimum of € 10.00 per shipment. These surcharges are for the packages between 240 and 600 cm long with a maximum diameter of 30 cm and a maximum weight of 50 kg. 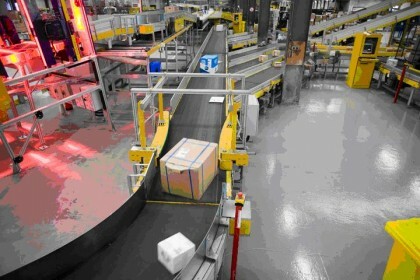 When a package is too heavy or too large, it can no longer be processed automatically over the belt. This means that an employee must process the shipment manually. Packages heavier than: 31.5 kg / Maximum: 50 kg. 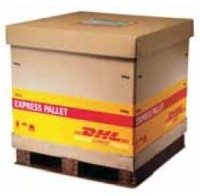 Packages weighing more than 50 kg are treated operationally and administratively as a pallet. Package between 240 and 600 cm long with a maximum diameter of 30 cm and with a maximum weight of 50 kg. *A package larger than the maximum specifications is sent back to the sender. The surcharge is invoiced. To avoid this surcharge, it is advisable to stay broad within the dimensions and weights. Packages are measured and weighed by specially calibrated equipment, however measurement differences can occur. I send two identical packages with the following dimentions 179.5x100x59cm. Afterwards I receive an invoice one of these shipments has received a surcharge and the other does not, how is this possible? One of these packages has been placed slantwise on the belt, so this has caused a deviation in the measurements. You get this surcharge when you have chosen the wrong shipping method: DHL Europlus instead of a DHL ForYou shipment. The size is larger than: 80x50x35cm or 150 L and / or heavier than 20kg or the package has been sent to a private address with the business network. My package is larger than 80x50x35 cm and must go to a private address? If you send this with DHLForYou you will receive a surcharge, so the advice is to include the surcharge in the shipping costs or send the package with another carrier. Do not choose for the Europlus network, because this is not suitable for consumers and this can also be calculated for a surcharge or even be sent back to the sender. This surcharge is not directly related to the dimensions or weights of a package. If a package can not be sorted automatically due to its nature, shape or packaging, this surcharge will be charged by the carrier. Combining loose boxes into one package / With tape or other binding material, 2 or more packages are combined into one package. To avoid this surcharge, it is advisable to pay close attention to the packaging. Do not use round tubes, avoid mentions on the package, stick the label on the longest side on top of your package, do not tape packages together and make sure there is enough padding so that the contents do not slide back and forth. It is not possible to send envelopes or documents via the DHLForYou network. If you use this shipping method for this type of shipment, a surcharge applies. If you want to send letter mail via DHL you can use the shipping method: DHLForYou Letterbox. If you want to hand it in at a DHL service point, use the shipping method DHLForYou Drop Off. This surcharge will be charged once a relabeling has occurred. When a shipment is returned to the sender, there are also costs here, these costs are for the sender. These costs will only be charged if this concerns a refusal at the door, incorrect address details or when a package is not picked up at the depot / service point on time. *If you send a shipment to a business address with DHLForYou, it will be returned with Europlus, this involves other costs. When you send goods on a euro pallet, DHL will exchange them for you. This standard service is only available within the Benelux. DHL takes care of the balance registration and ensures that the sent euro pallets are returned in good condition within four weeks. A surcharge applies for this service. This surcharge applies to pallet shipments when the pallet falls outside the maximum dimensions or when goods are placed outside the pallet. A 100% surcharge per pallet applies for pallets in the Benelux. Outside the Benelux the average pallet rate of the shipment is the basis for the surcharge. These can amount to several hundred euros, so make sure that you stay within the maximum dimensions for all international shipments. If you have any further questions about surcharges in this article, please feel free to contact us.